The garden center at East Branch Organics is the home base for operations. Open year round, the garden center features three greenhouses for annual and perennial production a large perennial shade yard and a huge selection of perennials, shrubs, trees, vegetables, herbs and fruits that are suited for the Adirondack climate. Our extensive selection gives you the opportunity to customize any outdoor space with the right colors, textures, and collections of plants to enhance any landscape. Additionally, we offer services for all of your landscaping projects such as fall and spring cleanups, installation, and landscape design. Our staff have expert knowledge in organic gardening, garden design, organic vegetable growing, landscape design, and more. 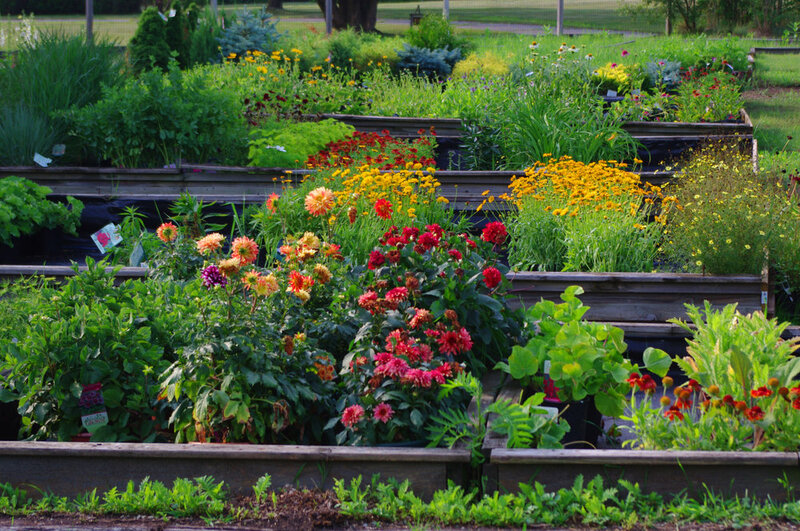 At East Branch Organics, we carry bulk goods, landscape stone, bulk and bagged mulch, fertilizers, pest control, and equipment—everything you need for you organic gardening projects. At East Branch Organics, we believe in the importance of community and sharing knowledge with one another. To bring our commnity closer we host several events every month on topics relating to sustainability, organic gardening, and overall wellness. In the past we have held free workshops on Seed Starting, Garden Design 101, Green Cleaning with Essential Oils, and much more. A one of kind garden center—we offer a quality selection of spirits, wine, and craft beer. Bring your growler and visit our growler fill station and craft beer center! All located within the garden center. Follow us on Facebook and Instagram for the lastest news and updates from the garden center!